Remote controls are cool and we tend to forget that remotes used to have wires. They let us control things from a distance and we created to make operating devices easier. But the humble infrared remote we know is still the same as it was a few decades ago. 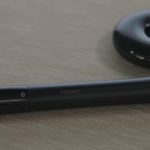 With the rise of smart, connected devices, wouldn’t it be nice to have a remote that does a lot more – and the only remote you will ever need to have? Enter the iWave Moband, a smart universal remote that will change the way how you control your devices and appliances. 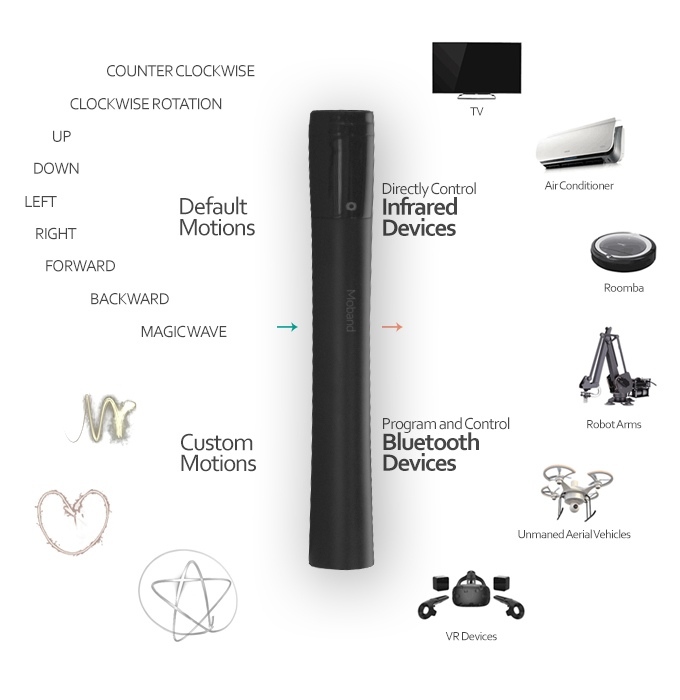 The Moband presents itself in the form of a magic wand, which is built to fully represent its function: to make controlling devices from a distance with ease and convenience. It takes the form of a wand because it’s built to learn a variety of air gestures you can set. For example, you can set a letter-shaped gesture to turn on your TV. Or you can flick Moband up to switch the air conditioning unit on. It comes with 10 built-in preset gesture configurations, which lets you set the most common gestures to control your devices. 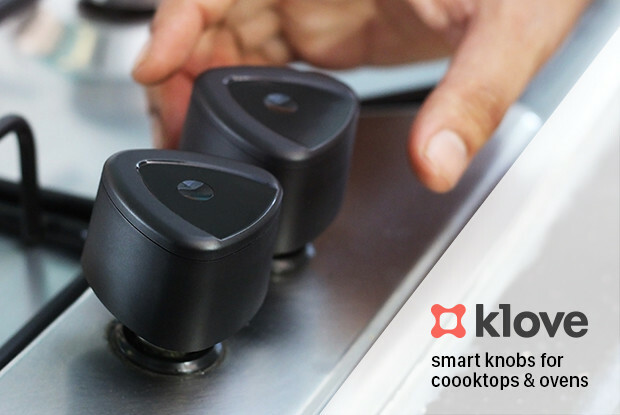 The Moband comes with support for both infrared-controlled and Bluetooth-connected devices and appliances, which makes it truly universal. 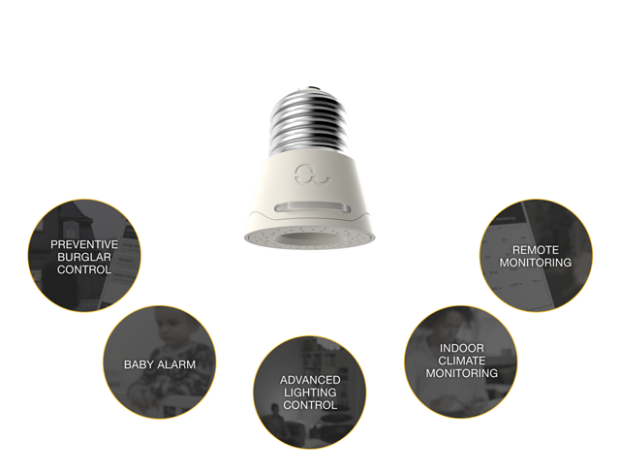 It means that with all remote-controlled devices you have, the Moband might be the only remote you will ever need. The ability to set custom gestures is also a cool feature of the Moband. Deep learning technology within the remote itself makes custom gestures possible with Moband. If you fancy to make a heart-shaped gesture to start up appliances, you really can. Thanks to the Moband mobile app for iOS and Android devices, you can set any form of gesture you want for a specific device. With a simple pairing setup, Moband enables custom gesture-based commands to any device you’d like. Ergonomics comes as a priority with the Moband. Its elongated cylindrical form factor takes the form of a magic wand, eliminating strain in the user’s hand in operation. Traditional remotes have so many buttons on them, but Moband takes off physical buttons in favor of air gestures. This makes Moband useful for people who have difficulties seeing faded remote buttons. They can use defined gestures instead to control almost any device they have, and not worry about doing an unintended remote task. iWave Moband is taking the first step towards upgrading the traditional remote experience. With its ergonomic form and gesture-based remote controlling feature, iWave Moband is a great addition to any home by replacing complicated, multiple remotes with a smart, single one.